Get directions, hours of operation, and parts store access for Farmers Equipment Co.
At Farmers Equipment Company, we are committed to fulfilling your agricultural, berry, material handling and construction equipment needs. For the past 80 years we have worked hard to provide quality machinery, parts and service solutions. As a company our priority is to supply you, our customer, with the tools you need to succeed. 2 Locations serving Northwest Washington and the Lower Mainland of British Columbia. 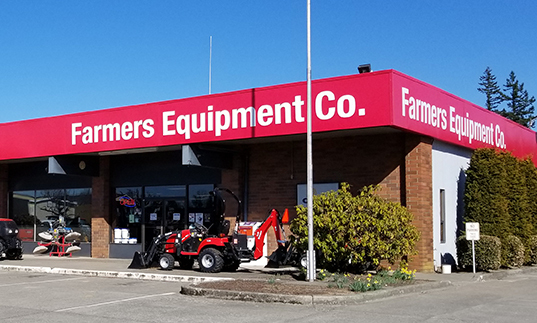 From quality equipment to outstanding parts and service, Farmers Equipment Company is here to keep you on the go.